Talk about amicable exes! 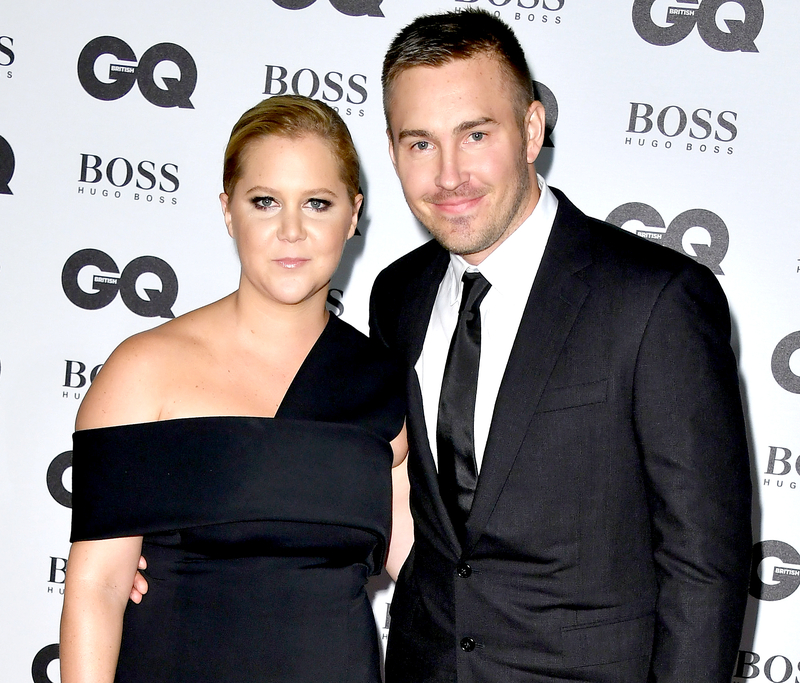 Amy Schumer thanked her ex-boyfriend, Ben Hanisch, for new her patio furniture in a hilarious Instagram post. “Thank you @benhanisch @frehr we are loving it @lastworkshop,” the Trainwreck actress, 36, captioned a photo of herself on Tuesday, September 26. The New York native was dressed to the nines in a white McDelivery onesie embellished with photos of cheeseburgers while swinging on a patio chair alongside her onesie-clad pup. Schumer tagged Hanisch, a Chicago-based furniture designer and furniture company owner, in the funny photo. As previously reported, the Snatched actress and Hanisch called it quits on their relationship in May 2017 after dating for more than a year. “Amy and Ben have ended their relationship after thoughtful consideration and remain friends,” Schumer’s rep told Us in a statement at the time. The Last Comic Standing alum also expressed her love for Hanisch.